Peace of mind is priceless and affordable. The best part of having a smart home automation system is the ability to have all of yours home features in one place. Open your automation app and see your cameras, thermostats, door locks, garage door state, and alarm. Control is yours, from anywhere and everywhere. Surveillance for the smart home. One of the biggest benefits of a connected home is being able to know what’s going on when you’re not actually there.Whether you’re checking in on your kids, pets, or an exotic car collection, a home surveillance camera is a great tool for keeping an eye on things from afar. 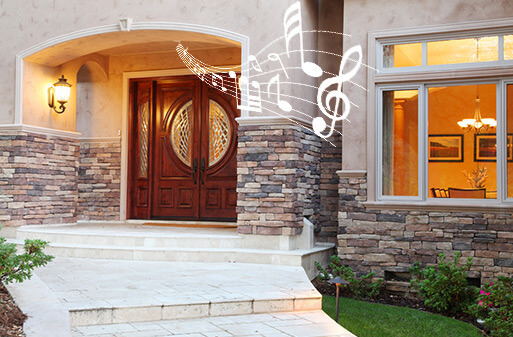 The Sound Vision can program your smart home system to play music, turn on ambient lighting, or cue up surround sound to provide each new guest with a welcoming entry experience. Cameras can do much more than monitor your home. Their virtual sensors can trigger specific smart events in your smart home system, such as lighting the driveway, flashing lights as somebody opens the backyard gate, or simply lighting up the pool. 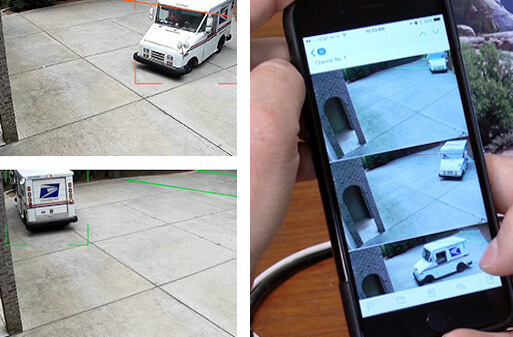 When any vehicle enters or leaves your driveway, it triggers a convenient image alert via email, so you’ll always be able to tell when FedEx arrives with a delivery or when a stranger’s making a U-turn on the front lawn. Our state of the art surveillance systems broaden the scope of what cameras can do. Traditional surveillance captures still images or video footage of events while they happen. Those basic systems rely on physical landmarks like walls, windows, or doors to provide alerts. 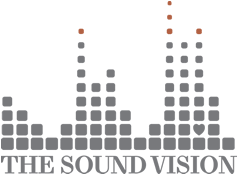 The Sound Vision installs custom virtual sensors via seven motion-based analytic rules. Using these rules, our surveillance systems can deter potential events or unwanted guests and reduce false positives by up to 97%. That’s smarter security. 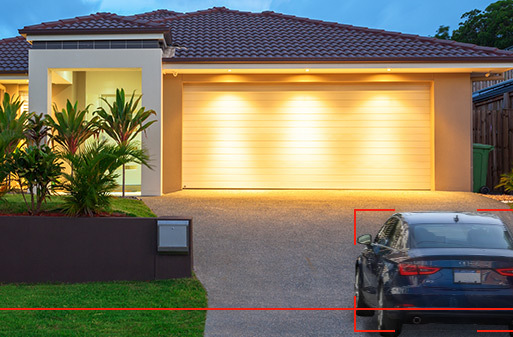 Using a mix of fixed cameras and PTZ cameras, your system can now communicate with an auto-tracking camera, so any event or possible intruder can be tracked from minute one. Have a question about our security solutions?